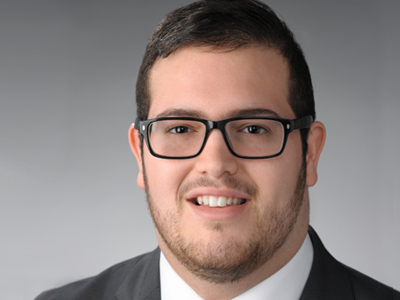 At last year’s ACC Meeting of the Minds Conference, José L. Marrero-Rosado ’17 discussed his research on the toxicity of two chemicals found in Onondaga Lake. The experience was a valuable way for him to refine his skills in presenting his work. The conference, which showcases the research and creative work of select undergraduates from the ACC’s 15 schools, also allowed him to discover the depth of other student research from a variety of different fields and institutions. Marrero-Rosado encourages students to apply to this year’s upcoming conference, being held this year at Duke University March 31-April 2. Syracuse University students can apply by completing a brief application at http://tinyurl.com/SUmomConference. The deadline to apply is Wednesday, Feb. 1. Each of the ACC’s schools select six undergraduates to present at the conference. Students of all disciplines can apply to present their original research or creative project, which needs to be under the mentorship of a faculty member. A panel of Syracuse University faculty members will select the winners based on the academic quality of the project, clarity of expression in the proposal, completeness of research/creative project, independence of project and relevance of project to program of study. Marrero-Rosado ’s research was part of a collaboration under the research of John Hassett, chemistry professor at SUNY ESF; Jim Hewett, associate professor of biology in the College of Arts and Sciences; Katharine Lewis, associate professor of biology in the College of Arts and Sciences and Marrero-Rosado’s mentor; and Frank Middleton, associate professor at Upstate Medical University. 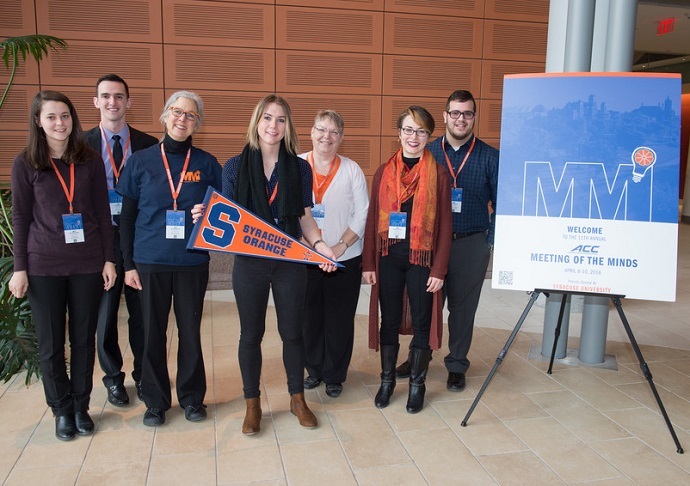 The Meeting of the Minds conference represents a unique opportunity for students to gain experience in presenting their own ideas and findings, engaging with other students about their research and interacting with faculty members from across the ACC. At the Meeting of the Minds conference, Marrero-Rosado focused on research involving the toxicity of PXE and PTE, two chemicals found in Onondaga Lake, a federal superfund site that is being cleaned up after having been a site of industrial dumping. He presented results from his experiments using zebrafish in which he found these two chemicals were more toxic to the organisms than DDT, a banned insecticide. After presenting at the conference, Marrero-Rosado received useful feedback from other students and professors—feedback that helped him decide some of the later steps in his project. “The scholars, the staff, the speakers, the research … all of these, great in themselves, add together to create this unique and unforgettable experience that will help you grow as a student, scholar and individual,” Marrero-Rosado says. For more information about the 2017 M.O.M. Conference, contact Melissa Lowry at malowry@syr.edu.